As wine consumption in China becomes more widespread, the country's drinkers are broadening their horizons far beyond high-end French wines. Wine Intelligence research paints a picture of a market offering even greater potential than before. Few things strike fear into the heart of the Chinese business community like the prospect of presenting an honoured business acquaintance with a fake bottle of fine Bordeaux. With counterfeiting on the rise, the risk of committing this disastrous faux pas is higher than ever. But, that is not the only reason why Bordeaux is losing some of its sheen in the world’s fifth biggest wine market. As wine drinking becomes more widespread in China, consumers who once regarded Bordeaux as their alpha and omega are broadening their horizons. Not only are they becoming aware of wines from other parts of the world, in many cases, they are discovering that they prefer them. For wine producers and marketers, this is clearly encouraging news. While it doesn’t make conquering the Chinese market any easier, it at least signals that wines that were regarded as unsaleable in the country just a few years ago are suddenly in play. Even white, dessert and fortified wines would appear to have a bright future in the People’s Republic. Imported wine volumes have grown nearly sixfold over the past five years, according to official data, and now account for 13% of wine sales. 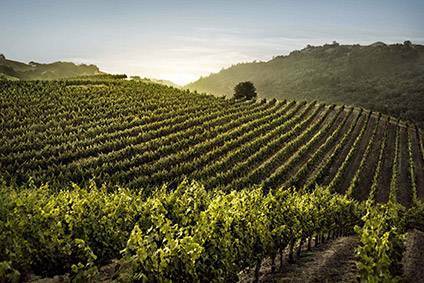 International Wine & Spirit Research reports that France remains comfortably in front of its rivals, with Australia trailing a distant second and Italy, Chile, the US and Spain jockeying for position a little further behind. Wine Intelligence has recently produced a report on the Chinese wine market, based principally on face-to-face interviews with importers, distributors, retailers and wine educators, in the largest cities such as Beijing and Shanghai, as well as in 'Tier 2' cities such as Wuhan and Chengdu. This research has been combined with consumer data, compiled as part of the organisation’s Vinitrac Global programme. 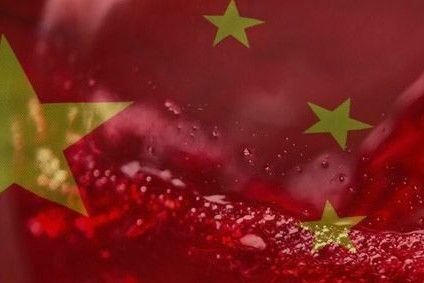 Although the report finds that exporting wine to China remains a challenging and sometimes exasperating business, there are some positive consumer trends that may make the effort worthwhile. Chinese wine drinkers are gradually treating wine not merely as a status symbol but as a drink that fits in with their wider drinking repertoire. Even though wine drinking is relatively new in China, already there are signs that younger drinkers may be gravitating towards New World wines to distinguish themselves from the older generation and their preferred wines. This isn’t just down to the style of the wines, or funkier packaging – price is also a crucial consideration here. France continues to dominate the higher price points, but supermarkets report increased interest in New World wines, especially at the sub-CNY100 (US$15.65) levels. In the on-trade, Italian wines have gained quite a following since foods like pizza and pasta have grown in popularity, while competitively-priced Chilean and Australian wines have done well as by-the-glass offerings. New Zealand too has seen a sales explosion – Chinese consumers have a positive image of the country, enjoy the wines it produces, and New Zealand producers have helped their own cause by working collaboratively. So, is the game up for Bordeaux, and France in general? Consumer awareness of French wines remains so strong that it’s hard to see them haemorrhaging sales. Bordeaux is easily the most recognised wine region among upper middle class imported wine drinkers, according to Wine Intelligence research, with 69% awareness. Around two in three of these consumers have bought Bordeaux wine in the past 12 months. Although there is a feeling, not surprisingly, that top Bordeaux is overpriced, consumers are seeking out more affordable wines from other parts of France, which explains a recent surge in interest in Burgundy – something that has been encouraged by many sommeliers. Languedoc and the Rhone have also benefited from generic campaigns. China has famously embraced red wine, but has had a far more reticent approach to whites. The Wine Intelligence study suggests this could slowly be changing. This is partly because consumers are being exposed to a greater range of wine styles, but also because whites tend to work well with the lighter cuisine of southern China that frequently contains seafood. For some, whites offer welcome respite from the drier, more tannic styles. This, in turn, opens the door to sweeter styles. “I have seen a surge in ice wine sales on our website among female consumers,” says one online retailer. “Most of the Chinese consumers I know talk dry but drink sweet,” adds a Beijing-based wine educator. Muscat, tokaji, Port and Sherry could all be poised for success in the Chinese market, at a time when rosé and sparkling wines have yet to really establish a constituency. While it seems there has never been a better time to tap into the Chinese market, the importation and distribution headaches remain. To succeed in China, exporters need a great deal of tenacity and patience, and ideally a physical presence. Channelling efforts through distributors focused on 'Tier 2' cities is more likely to pay dividends than attacking the crowded 'Tier 1' markets, but even here it’s tough to break into the supermarkets. Increasingly, the internet is offering an alternative route to market. Around 40% of imported wine drinkers in China buy online, according to Wine Intelligence research. There is a variety of options: e-commerce sites like 260 Buy, Dangdang and Yesmywine are popular, but some distributors sell direct and there are also sites used by independent dealers. The Chinese wine market, then, is making giant strides, and bounding away from the old truisms and stereotypes that have usually defined it in the West. The winners won’t simply be the businesses who can cope with the bureaucracy, air miles and legwork that China demands: They will be the suppliers who can keep pace with an increasingly knowledgeable and enquiring Chinese consumer.